One of the hardest things to do when you’re in the market to hire Toronto wedding bands is to hire wedding bands Toronto residents can all enjoy. You want to hire a band that appeals to a wide range of ages so that everyone has a chance to celebrate the occasion. Here are some tips you can use when choosing a wedding band to appease the most number of people without breaking the bank. Hiring live bands for events is great because of the diversity and the sound quality that they produce. 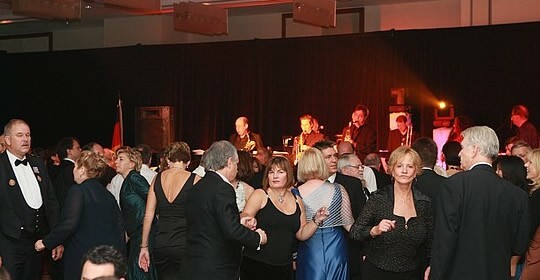 Live bands for events often know a large selection of some of the most popular music from many different generations. That way they’ll be able to keep Grandma entertained without turning away some of your younger wedding guests. Live Toronto wedding bands are something just about everyone can agree with. In addition to the wide range of selection, when you hire live bands for events the sound quality can be superior to any speaker system. The reproduction sounds coming from a DJ or speaker system won’t even match up to the collection of sounds produced when hiring live bands for events with actual instruments. When making your hiring decision, choose a band based on the diversity of those that make up the band. That means look for bands that feature both guy and girl lead vocals, and instrument musicians that are knowledgeable about many different types of instruments. When you don’t hire a band with much diversity, there is a tendency for your guests to become bored. They’ll be listening to the same voices and sounds all night long and that can be frustrating. Bands with a diverse composition can keep the entire wedding party upbeat and entertained without making them feel like they’re hearing the same song over and over again. Look at the band’s credentials and the type of events they’ve played. Any of the best Toronto wedding bands would be able and willing to supply you a list of some of their past and notable clients or events to give you a better idea when you making your hiring decision. There are usually even videos out there on YouTube or other social media sites that will allow you watch some of the performances and make the hiring decision after actually hearing the band. If you have certain traditions or are a member of a culture with unique wedding characteristics, hire a band that is familiar with these traditions and can compliment them. For instance, a Jewish couple might consider hiring Jewish wedding bands that are familiar with things like the Seudah and the breaking of the glass. That way you will get the most appropriate music for the occasion and that music list can be designed to fit in with the festivities and the atmosphere of the room. Guests will appreciate this knowledge of tradition beforehand and you can avoid any unintentional gaffes from an inexperienced band.